When it comes to making gifts for my loved ones I like to create original items tailored to each person. This is why I love embroidery. There are so many options to customize each gift with design, wording, and what you choose to embroider on. Embroidery Online has so much to offer just browsing through the site you will find a gift for everyone in your life. We put together 3 DIY gift ideas that can easily be customized for your gift giving this year. The Dress in the photos was a refashion I did...see the before here. I love the look of freestanding lace. 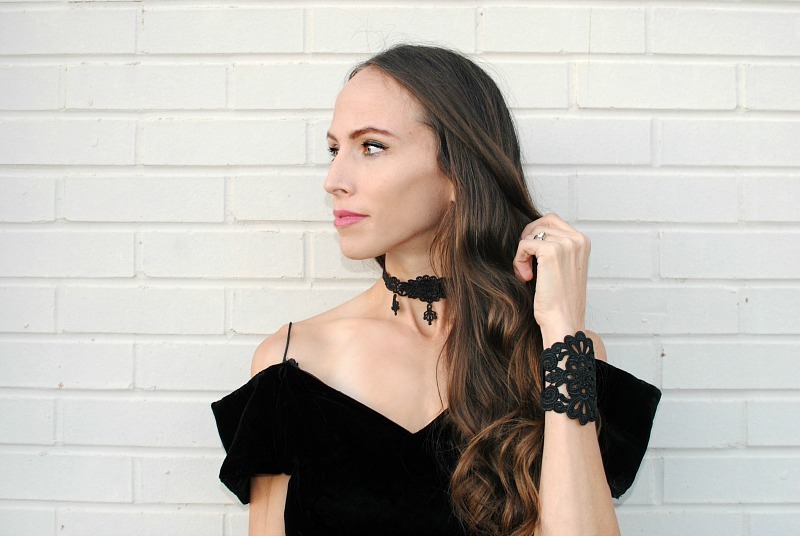 These cuffs and choker set make beautiful gifts and also accessories for your holiday looks. Try these in metallic threads for a festive finish. Hoop using Aquamesh WashAway: I usually do 2 layers. Use a free standing lace design like this one here and here. Use various Isacord Embroidery Thread. Dissolve the stabilizer away in water. Add clasps or string as a closure. For more Free standing lace check this post out here. Who doesn't love coffee? 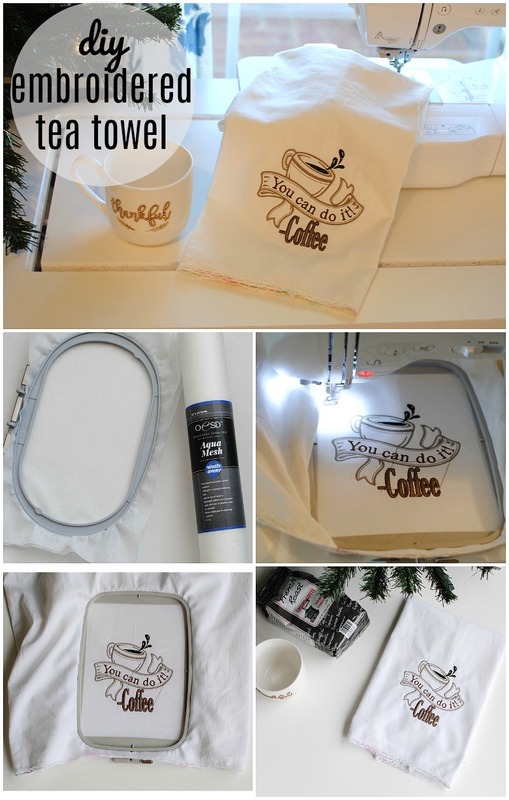 This Coffee Time Collection is one of my favorites from Embroidery Online. I could embroider these designs on just about everything. This tea towel is a great gift to add with a cup and coffee for that coffee lover in your life (just about everyone). Mark the location of where you want the design. I chose the bottom of the towel. Stabilize the towel with a water soluble stabilizer like Aquamesh WashAway. Hoop the towel and stabilizer. Choose a fun design like this Coffee Time Collection. Embroider with various Isacord threads. 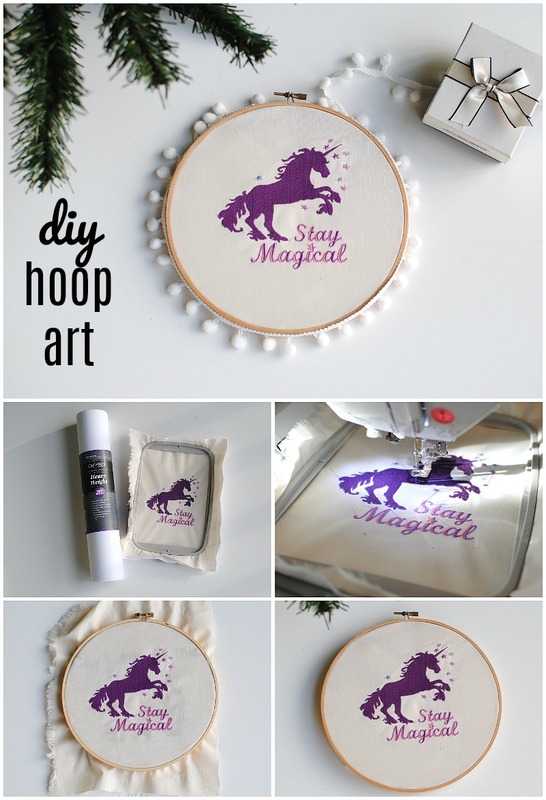 I love embroidered hoop art, it's such a fun and cute way to add some artwork to your walls. It's also easy to customize which makes it a great gift idea like these Unicorn designs here. Perfect for hanging right in my studio. Keep 1" of fabric to fold over and hot glue along the interior of the wooden hoop. Embroidered Custom T-shirt Pockets here. ***In partnership with Embroidery Online. 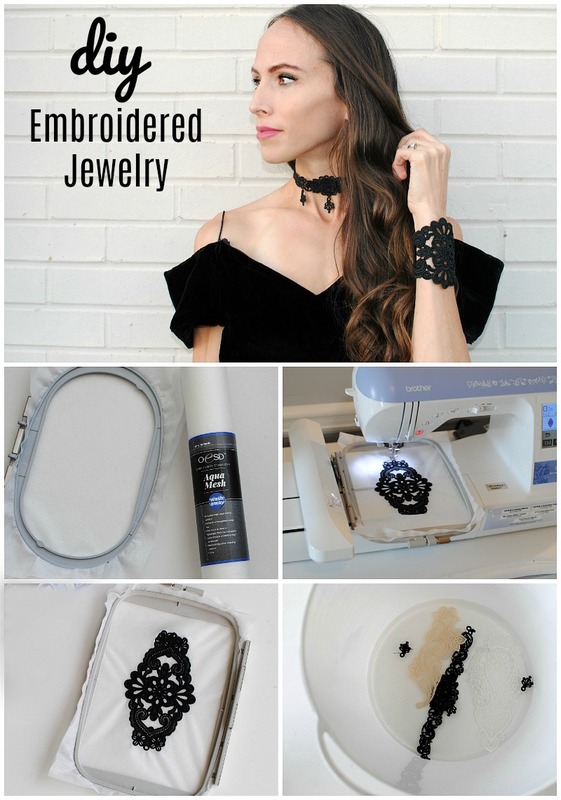 I find embroidery gifts useful- that lace cuff is so pretty....last year I did a few dish towels for a friend ....hes a wine waiter/sommelier and i used 'you were working as a waitress in a cocktail bar when I met you' it was so well received! Looking very nice Superb, I really love these designs, You are an amazing designer.